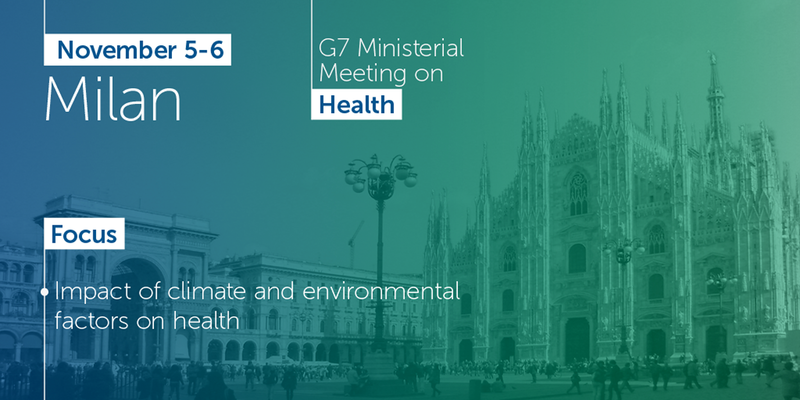 On November 5 and 6, at the Ministerial Meeting on Health to be held in Milan, we will launch a new perspective on health. We have an ambitious program, for the first time built on scientific basis through the so-called Delphi, an organizational model based on the opinions of world's leading experts, with the aim of assessing the impact of climate change on people's health. Scientific evidence shows that in recent years there has been the spread of vector insects due to climate change in areas where they were not present. In Italy, for example, there have been cases of Chikungunya. In the course of the summit, we will also address other important issues: the health of women and teenagers, the antibiotic resistance and the proliferation of new infections. We will try to coordinate global and concrete actions. There will also be events related to nutrition and prevention, drug accessibility, and personalized therapies. We will also address the health of animals and therefore the situation of our farms, an aspect that affects what we eat. Finally, we will discuss the impact on health of refugees and migrants, the migrations due to climate change and the consequences of air pollution on health.